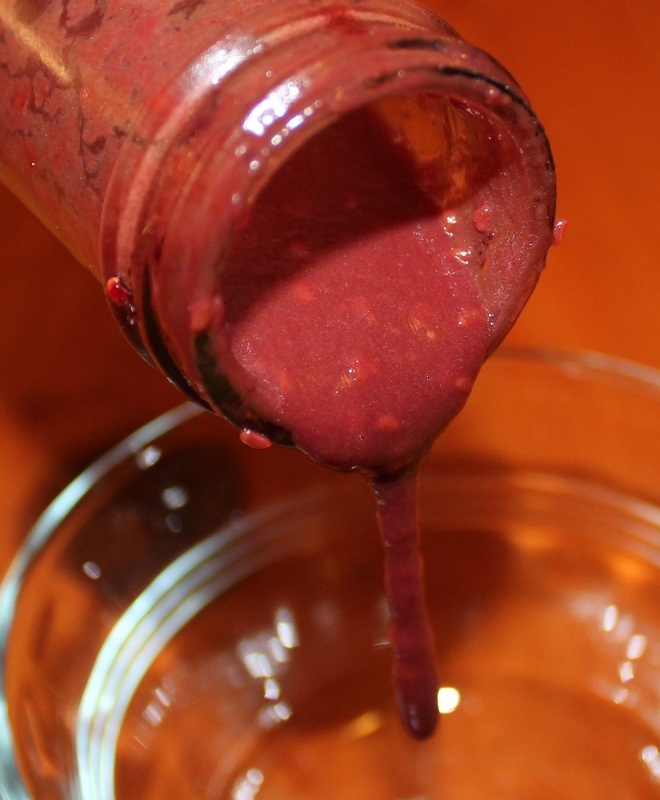 This vinaigrette has such a beautiful color and the mild raspberry flavor makes a great addition to many salad combinations. It is especially good with fruit salads and fresh spinach salads. Puree raspberries in blender or food processor. Add honey and balsamic vinegar to raspberries, blend well. Slowly pour oil blending dressing ingredients until emulsified.